If Jake E. Lee has been on a personal redemptive quest since the BADLANDS years, he's taken a modest and methodic path down his own voodoo highway to get there. The former OZZY OSBOURNE guitarist was unceremoniously fired then overshadowed by his high-profile successor, Zakk Wylde. However, his partnership with the late Ray Gillen in BADLANDS provided Lee a sanctum he obviously holds a candle for more so than "Bark at the Moon" and "The Ultimate Sin". Following his small cluster of solo albums, RED DRAGON CARTEL represents Jake E. Lee's second shot at living in the BADLANDS days, shaking up his bluesy haven with a grunge and psych rock kick. Lee is joined by ex-LYNCH MOB bassist Anthony Esposito, former SAIGON KICK and SKID ROW drummer Phil Varone and HAREM SCAREM member Darren James Smith. 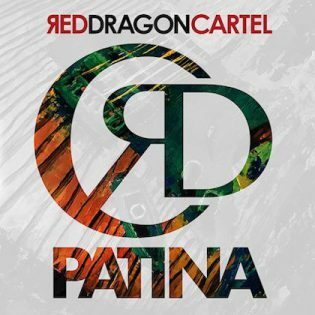 Following RED DRAGON CARTEL's 2014 self-titled debut—highlighted by appearances from Maria Brink, Robin Zander and Rex Brown—the band's second release, 2018's "Patina" is a better realized if sometimes repetitive follow-up. It's also a tremendous showcase of Jake E. Lee and Anthony Esposito's playing prowess. Jake E. Lee's strokes give "Speedbag"'s steaming march a swagger that carries right into "Havana", which reveals further poise and toughness to Lee's tugging riffs. On "Havana" Darren James Smith drifts along and accents Anthony Esposito's purring bass lines with Lee ladling hot guitar gravy over his low-end solos. The tracks "Crooked Man", "Chasing Ghosts", "A Painted Heart" and "The Luxury of Breathing" are BADLANDS reinvented with a peer into STONE TEMPLE PILOTS's aromatic "Lady Picture Show" circa 1996. Anthony Esposito and Phil Varone pound massive grooves behind Jake E. Lee's riff flexing, driving the destinations of these cuts toward fragrant psych-alt choruses. "Bitter" is more in tune with today's garage revival, and one might pick up a bluesy air of KING's X along the way, even if the entire thought process is BADLANDS-driven. Jake E. Lee squeezes more grease into his solo on "Bitter" than McDonald's at lunchtime. The psych-blues kicker "Punchclown" likewise carries a trace of KING's X methodology; its finest moment coming with Lee's ear-splintering first solo. What if THE DOORS, Jimi Hendrix and NIRVANA converged to crank out a garage-blues-surf-grunge jam in some strange corner of the rock-verse? 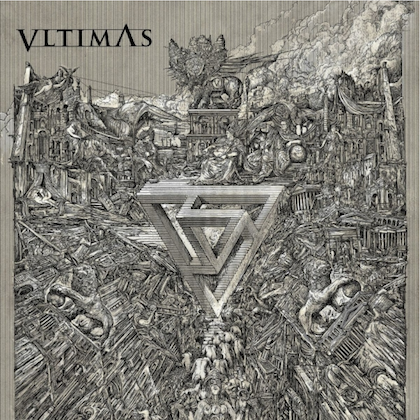 You'd get it right here on "Ink & Water", one of "Patina"'s most inventive tracks. In whatever manner Jake E. Lee and RED DRAGON CARTEL are received by listeners from this point, you can't deny these guys had a blast making this album. That speaks louder than the shreds, picks and fret drags giving Jake E. Lee a new lease on life.